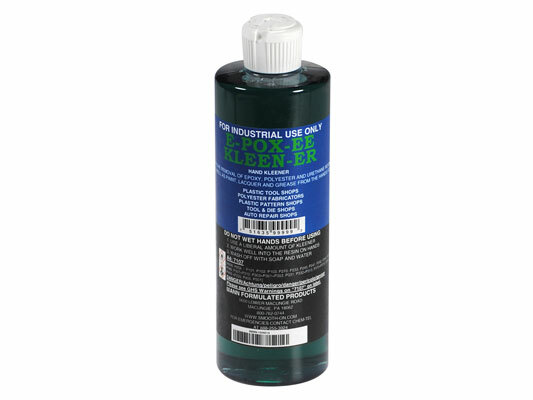 E-POX-EE KLEENER® Product Information | Smooth-On, Inc.
E-POX-EE KLEENER™ is a unique industrial hand cleaner made especially for removing unreacted liquid epoxy, polyester, urethanes and other resins from the skin. It will also remove liquid paint, lacquer and grease. 1. Dispense a liberal amount of Kleener onto the hands. 2. Work well into resin contaminated areas. 3. Wash hands with soap and water.